Being an island, New Zealand has a long nautical history. 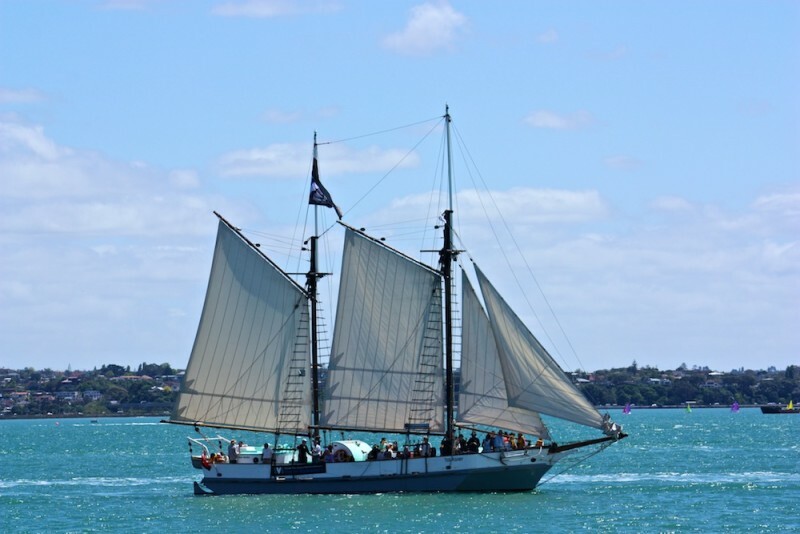 From the arrival of the first Polynesian people through today, much of New Zealand life revolves around the sea, especially here in Auckland where it is said that one in four people have a boat. 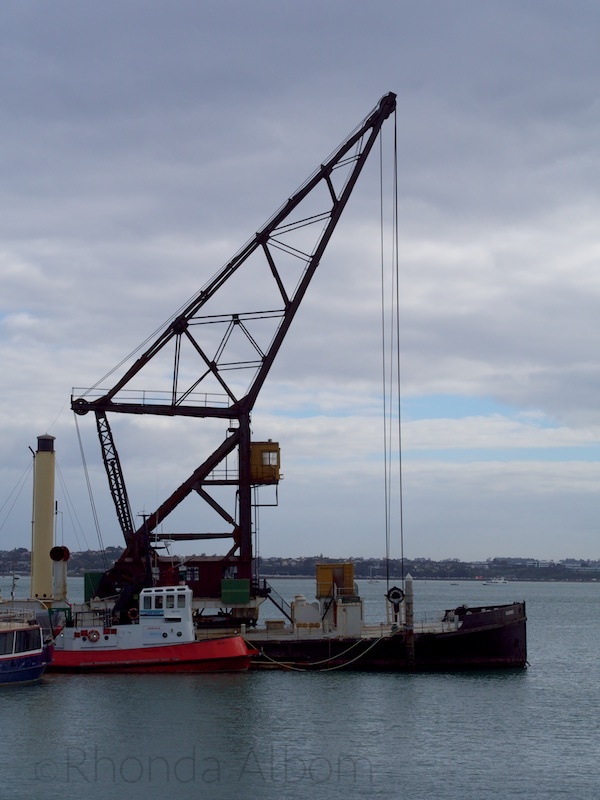 It is no surprise that Auckland’s nickname is the City of Sails. The New Zealand Maritime Museum is the best place to discover New Zealand’s nautical history from the first people to arrive only 1,ooo years ago in dugout canoes through modern blue water racing. It is one of my two favourite museums in Auckland (the other is the Auckland Museum). 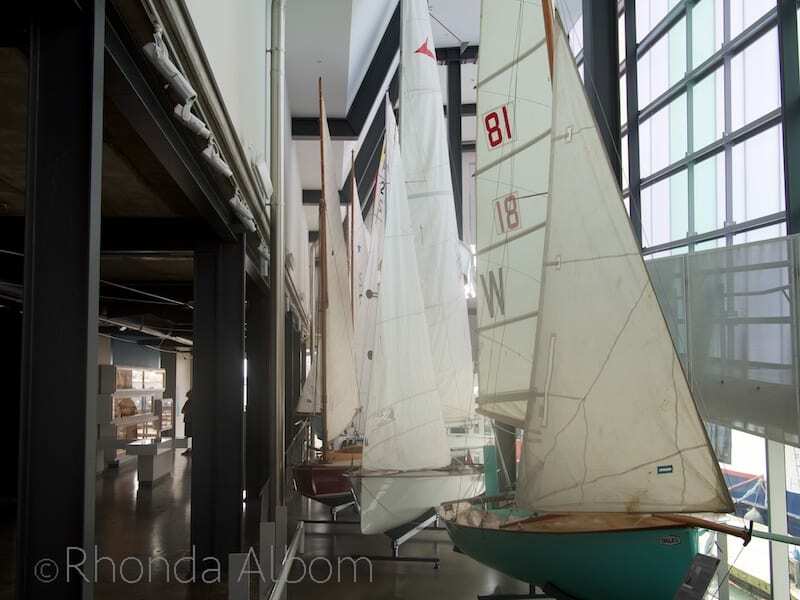 It takes us through the nation’s nautical history with actual boats, replicas, stories, interactive exhibits and more. A variety of vessels used to travel across the waters in early days before Europeans arrived. 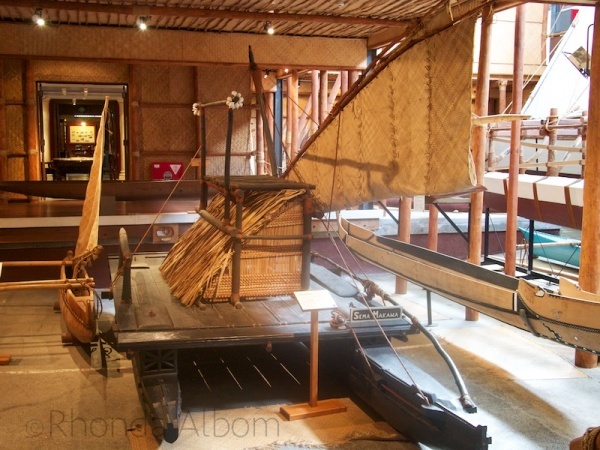 Take a closer look at these Polynesian Outrigger boats here. The entrance to ‘New Beginnings’, an exhibit on European immigration to New Zealand. Simulating life on board the European immigrant ships, this “boat” gently rocks from side to side. Blue water, Black Magic is a tribute to Sir Peter Blake, yachtsman, environmentalist and New Zealand hero. His life was cut short by pirates in 2001. 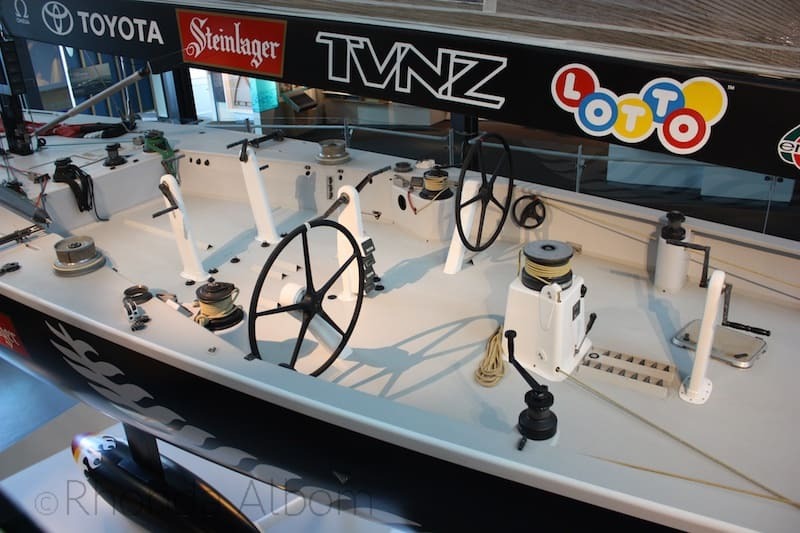 It also features maritime achievements that have resulted in New Zealand holding every significant blue-water sailing trophy in the world, at one point in time. Sir Peter Blake is New Zealand’s most celebrated sailor, and probably its most famous. He is joined in fame by some of New Zealand’s recent olympians and America’s Cup team members. The entrance to Blue Water, Black Magic. Looking down on NZL32 – Black Magic, New Zealand’s 1995 America’s Cup-winning boat. The underside of Black Magic. A row of innovative kiwi boat designs. This waka, belonging to the Polynesian Voyaging Society, has been at the Maritime Museum for a while and will be leaving soon. 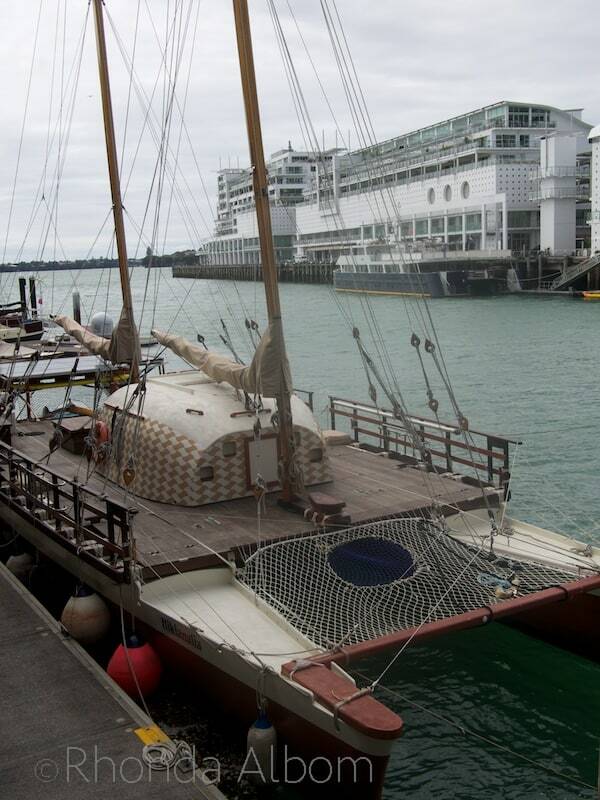 SS Puke (pronounced puķē) is New Zealand’s oldest working steamboat. The Ted Ashby is a ketch-rigged deck scow. 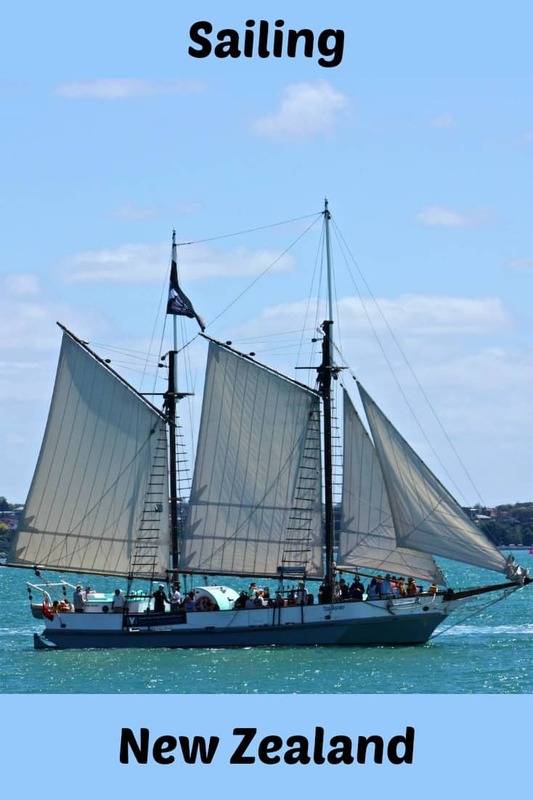 The Auckland Maritime Museum offers daily sailings on the Ted Ashby as well as other boat options. Check out the sailing time schedule to help plan your visit. 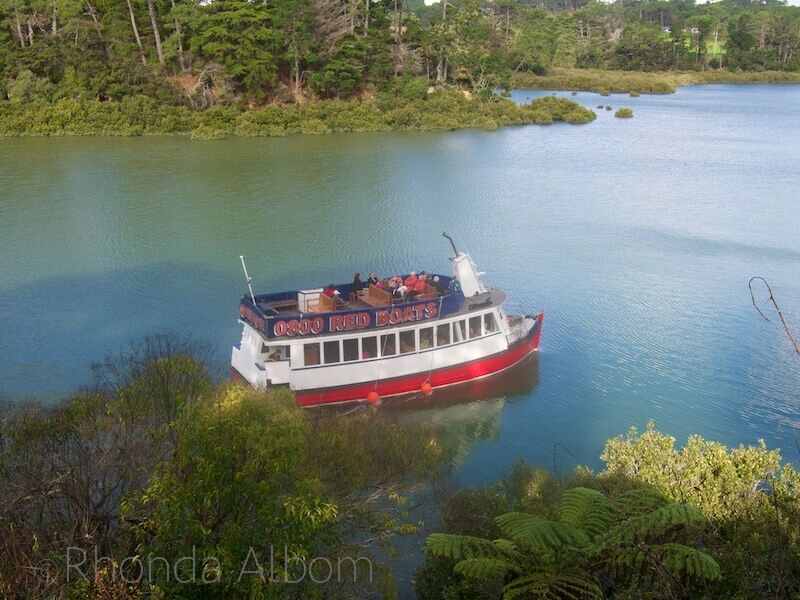 The Ted Ashby in the Huaraki Gulf on a daily excursion from the Auckland Maritime Museum. The Breeze is a recreation of a brigantine style ship used in New Zealand coastal and inter-Dominion trades. While we have not yet sailed on it, we did get on the Breeze during a special event entitled “Dangerous Duties at Sea” held at the Maritime Museum. The highlight for my teen was getting an opportunity to climb up the rigging on the Breeze. I hopped off the boat to get a photo on her way back down. There were also many different rescue boat and lifeboats present during Dangerous Duties. Thinking about spending any time in one of these lifeboats is pretty scary. The first holds 35 people, the second even more. The New Zealand Maritime Museum is just off Quay Street on Hobson Wharf, directly across from the Viaduct Harbour where people can race on the former America’s Cup boats. Entrance to the Maritime Museum is one of several free activities for Auckland ratepayers. The SS Puke is a working ship and touching or leaning in the wrong spot will get you greasy (I know this first-hand). The museum the check-in location for the Auckland Whale and Dolphin Safari. Are you fascinated by nautical history? 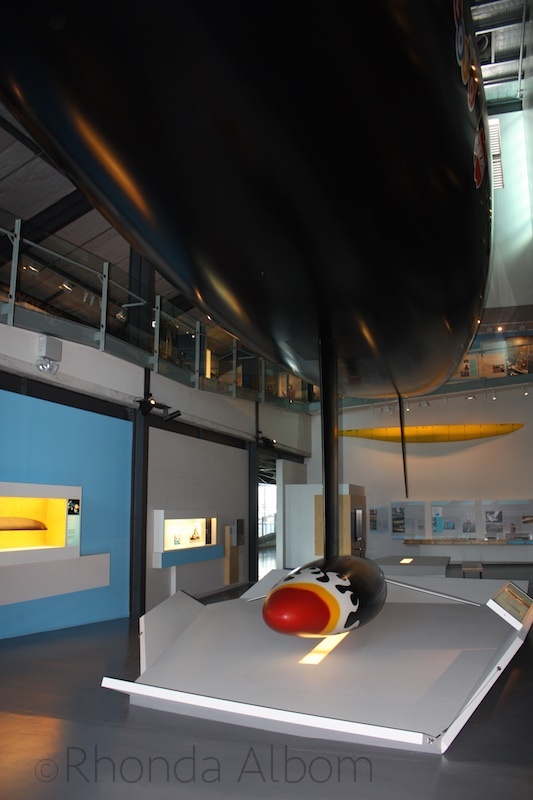 Have you been to the Maritime Museum? Fascinating looking museum. I’m from Nova Scotia and we have a great maritime museum in Halifax, which includes an awesome Titanic exhibit. I keep hearing about that Halifax Maritime Museum. Now it is on my bucket list. Those sock are VERY red. I too like these topical museums. Was there anything showing nautical history that wasn’t colonial in nature. ie pre-colonial? 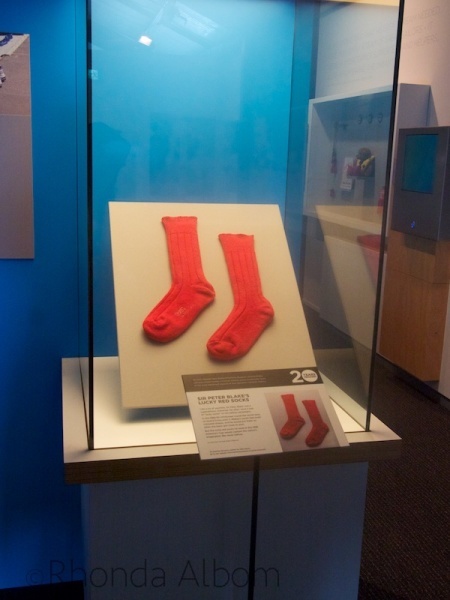 Those are the actual red socks. 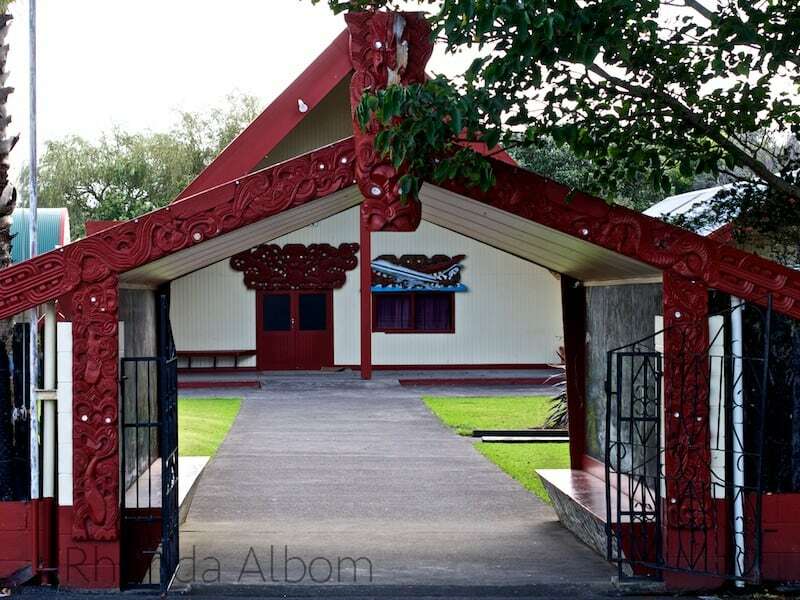 The nautical history starts with the first people to come to New Zealand. I touched up on it in the first photo. There is plenty at the museum. This is such a fascinating museum! All of the little details like the lucky red socks, make it even more special. 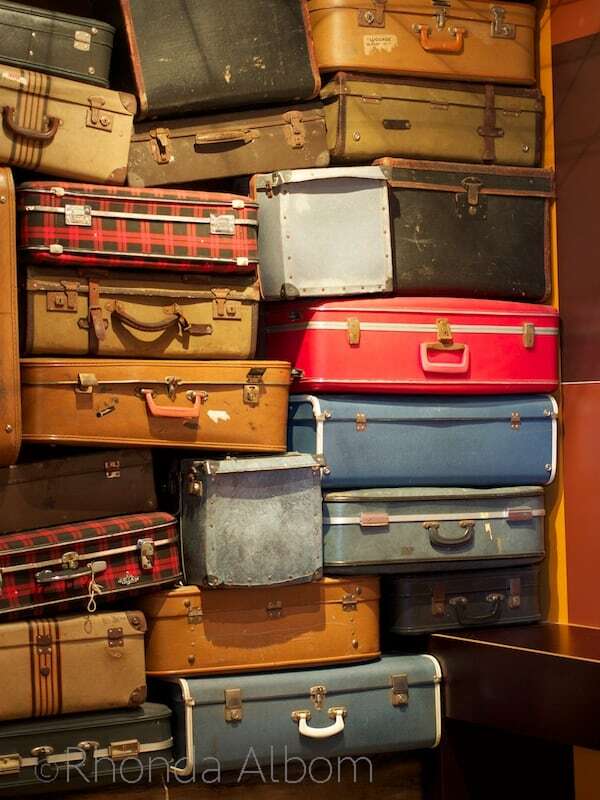 Great picture of the suitcases! I have been to various maritime sites in Nova Scotia, Canada when I was young and I’ve sailed on a replica Viking knarr out in Newfoundland to search for icebergs (we found one! ), but it’s been a while since I’ve been near the sea. Wow. I would love to do that. A Viking ship, Newfoundland, and icebergs, what a magical combination. Interesting museum with even more interesting artifacts! Island nations do have a strong nautical history and its always wonderful to read about it. Maritime museums are always a lot of fun. We went to the one in Halifax a few years ago and loved it. The highlight there was artifacts that were retrieved from the ocean surface from the Titanic. That would be very cool to see artifacts from the Titanic. I will have to remember that should I ever get to that part of Canada. Once again I loved your photos. Now I know where I left my red socks. Ha,ha,ha. Really, I do have a red pair of socks, & yellow & green & blue. I love your adventures Rhonda. Keep going giving us some more of them. See ya. What a great place to visit. I can see a whole day if you include a sailboat trip. It really depends which boat you pick. If I remember correctly, the Ted Ashby was only an hour. Plus it takes a few hours to see all the exhibits. Imagine the stories that go with all those pieces of luggage! Love the kiwi boats. Funny you should say that, directly across from the luggage on the wall our cards. Each visitor is encouraged to take one, which will follow the story of one immigrant. At the end of the exhibit you can learn of their fate. One fun thing about traveling is the chance to see small boat designs. I’ve always enjoy seeing the (sometimes very) different approaches that cultures took to essentially the same problem of near shore exploration and fishing. I love all things nautical, but you already know that. I would love to visit this museum. A. Lot. I did know that, I even threw in the last question just for you, so you wouldn’t see my biased towards all things with sails. I don’t think we’ve visited the Maritime Museum in Bergen, as we went to one in Oslo only a few days earlier. It was very different then New Zealand as it was based around Viking ships. I love museums! That picture of all of the suitcases stacked up like that is a great shot. I’m not a boat person. Because I can’t swim well, I’m afraid of water. I enjoy museums that give insight into the personal side, like the mock up of the inside of the ship. Fascinating to imagine what it was like for the people there. It is a really cool exhibit. In several of the bunks, they show continues video to give you a feel of what you would really be like to be there. 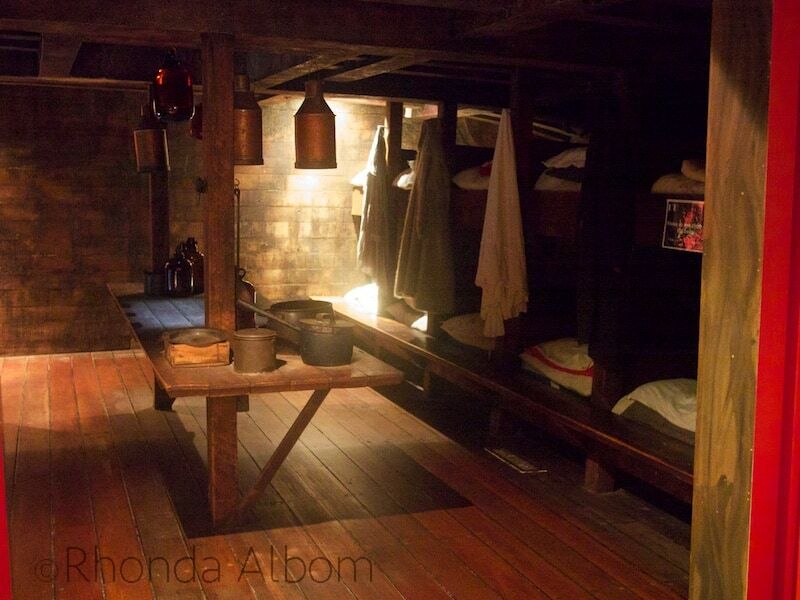 Each of those bunks held a family, not just one person. I have to admit, I was surprised to read this. You and Scott are boaties, this seems like such a natural for you. Plus, as Aucklanders, it was free. Maybe when you get back here we can go together. I am still giggling at the idea that you never visited. We are just back from New Zealand and I just loved it! Auckland is a gorgeous city but we didn’t have enough time to visit any museums, guess we have to go back!! This is one of my favorites, and it seems to be somewhat different than other Maritime Museum we have visited around the world, jazz this one has such a strong Polynesian influence. love the lucky red socks! There are many things named after him, a big yacht race is the one that pops into my head. 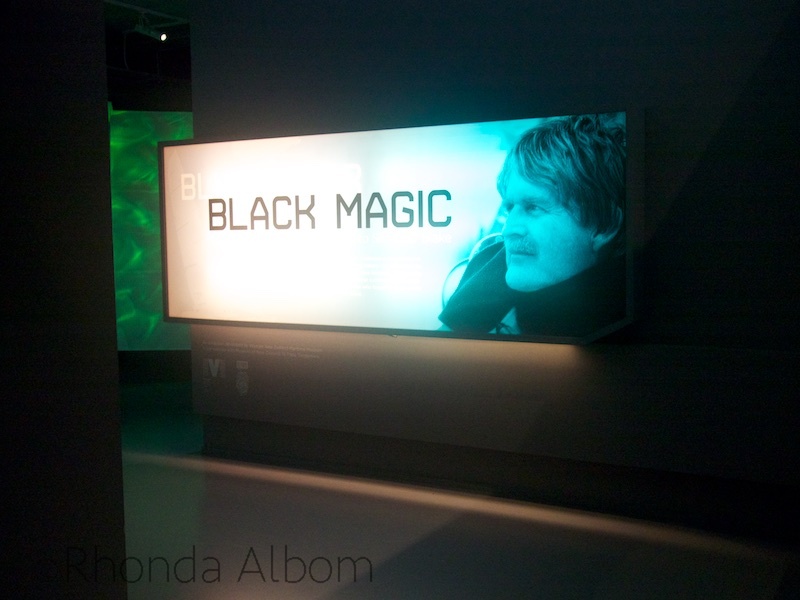 As for Black Magic, there is a video on the Maritime Museum’s webpage showing how they got it in up there. That was part of the magic too. A fun and interesting post, Rhonda, but I’m sad to learn that Sir Peter Blake’s life was cut short by pirates. That’s tragic. I’d love that museum, though. Thanks for the tour. It was tragic. He was a true hero and sportsman. It was just before we moved to New Zealand. I am sure the nation cried. Looks like a cool museum. I love the shot of the suitcases – and the lucky socks made me smile! I would enjoy that museum. Like the lucky socks. I have taken many people here, and everyone seems to like it. Maybe one day you will get to New Zealand and I will bring you here as well.